Please select from the drop down menus above to navigate through website or click buttons. 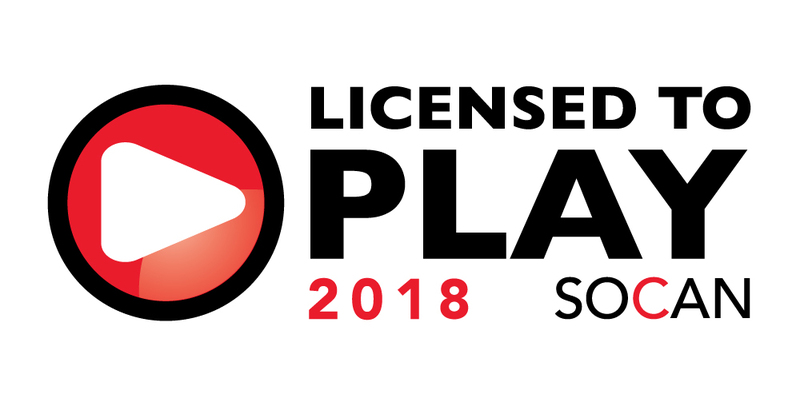 My Sir Gary's Rockin'2Whatever Radio Show is fully licenced under the Music Industry standard for playing music over the Internet. Every Sunday 5pm to 7pm Eastern (New York USA) and re-aired on Wednesdays at 7pm to 9pm (will be periods that Wednesday will be a live broadcast as well). Music from the 1950s to present day across many Genres and from different mediums from vinyl to digital including audio cassettes. Original recordings are encouraged as well as requests (might be aired on the following weeks show). After a long wait Internet Radio Show is going to be back on air tomorrow evening starting at 5pm eastern 31st March 2019. Was on hiatus until my broadcasting renewal licence was issued to me for this year. 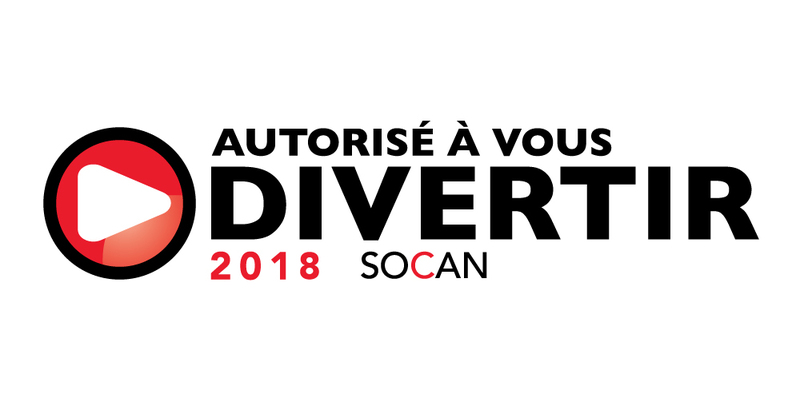 Graphics from Socan will be replaced shortly. Please send me an email if wanna chat or request a song and you can also send a message through Facebook page (Facebook.com/sirgaryrockin2whatever), you might need to highlight then copy & paste. This is a picture of Tracey (my wife), Michelle (My daughter) and myself. 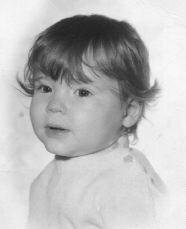 Please Sign My Guestbook Link At Bottom Of Page! This is a picture of Tracey. 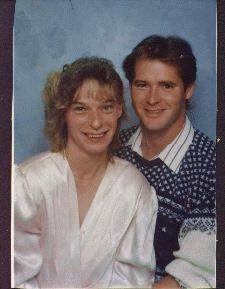 It was taken in our old home on Equus Way in Gloucester, Ontario Canada. This is one of my favourite pictures of her. This is a picture of Tracey and me. This is a picture of me. The above pictures were all taken in 1995. This is three pictures in one. These are pics of very special people and animals to me. Thumper was my little baby and even though he's gone since last May of 2000, I deeply miss him and think of him on a daily basis. 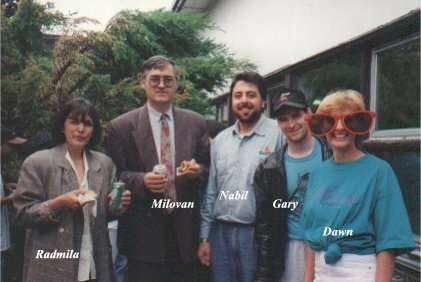 This is a picture myself and friends at a barbecue at CityView Adult High School on June 14, 1996. I placed their names in the pictures on each person. 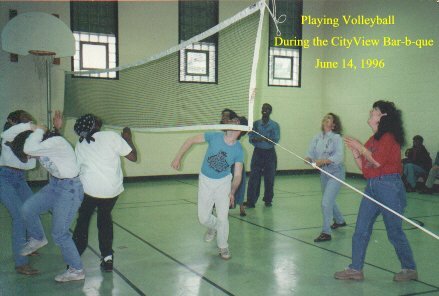 This is a picture of me and some school mates playing volleyball during the barbecue at CityView. This is a picture of me when I went back to school at City View to get my grade 12 Diploma (OSSD). This is a picture of Greg and myself. We were classmates. Technical Math was the subject we would help each other on. 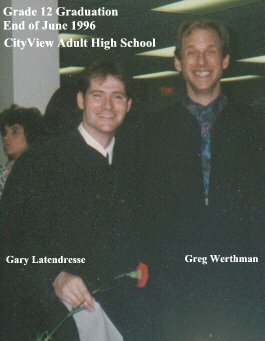 This picture was taken at during our Graduation Ceremony at the end of June 1996. This is a picture of Tracey, Michelle and myself taken this year. 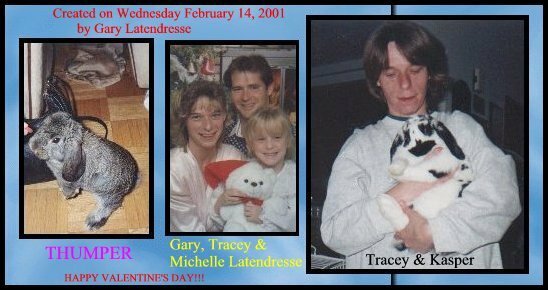 This is a picture of Tracey & Michelle which was taken at Christmas 1998. This is a picture of our friend Laura with her son (I don't think I should put his name here). This is a picture of my mom at Christmas time which was taken in 1998. This is a picture of Tracey's friend, Lucie. 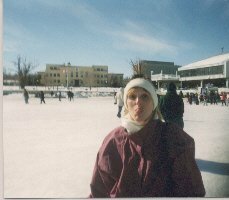 It was taken in 1998 at Lansdowne Park here in Ottawa during the 1998 Winterlude. 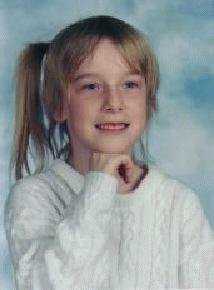 This is a school picture of Michelle. 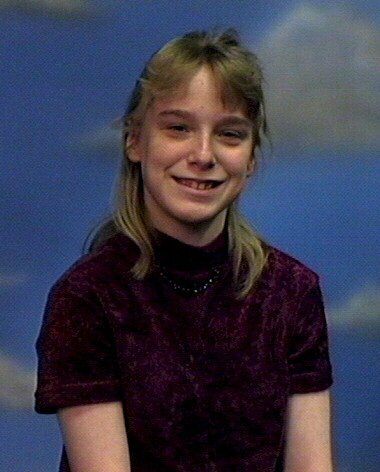 This is another school picture of Michelle. 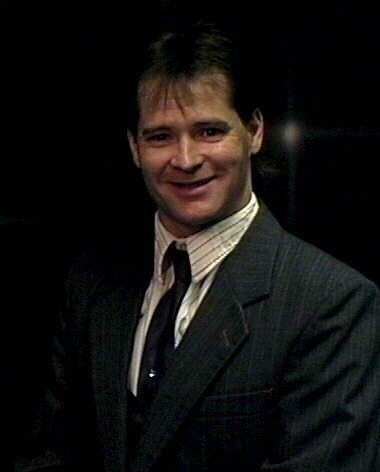 This is one of Tracey's and my favourite pictures. 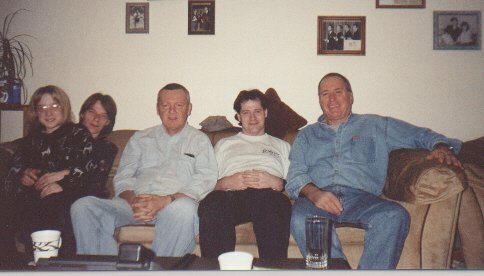 This is a picture of Michelle sitting on Tracey, musician John Cassidy, myself and musician Bob Hanni. John and Bob dropped by for a visit at my place. 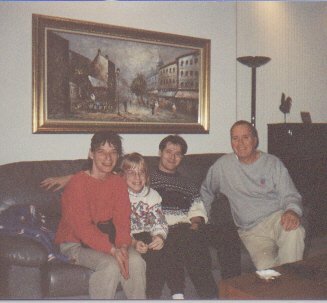 This is a picture of Tracey, Michelle, myself and Bob Hanni when we visited him in Montreal, PQ Canada. 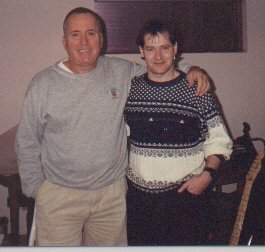 This is a picture of Bob and myself in Montreal. He showed me his recording equipment and played his guitar for us. 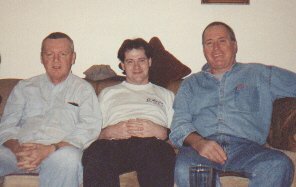 This is a picture of John Cassidy, myself and Bob Hanni. I really enjoyed the time I spent with them. I hope it continues in the future. Thanks for the memory Bob and John!!! 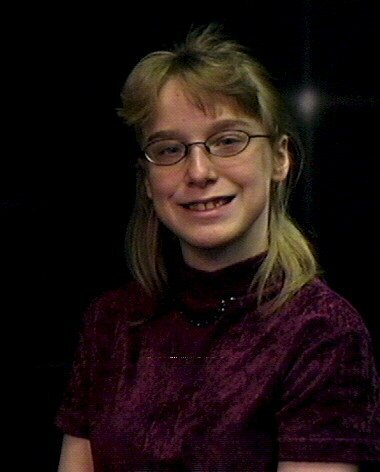 The Pictures below were taken on Saturday May 12, 2001 at Walmart Protrait Studio. We hope that you enjoyed this page. I will be doing more pages as time goes on, so please check back regularly. Thank you for visiting. 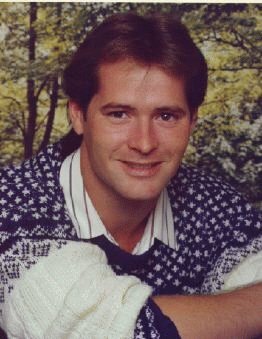 Please sign and/or view my guestbook!!! Let me know which page you viewed when signing my book.